Beginning with the creation of the Mickey Mouse cartoons, the Walt Disney Studio established an early reputation as being a technical leader in Hollywood. But Walt Disney didn't do it alone. 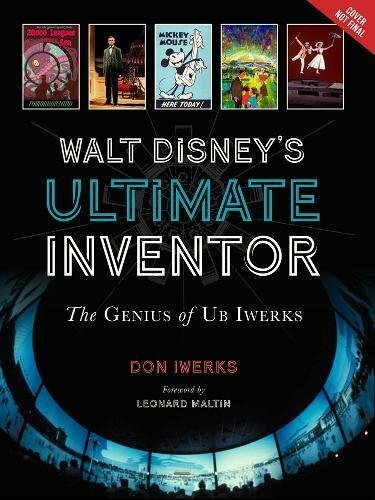 He frequently relied on the counsel, expertise, ingenuity, and creativity of a kindred spirit, lifelong friend, and fellow virtuoso: Ub Iwerks. Yet Ub and his many technical inventions and techniques are largely unknown by the general public. His illustrious career consisted of dozens of innovative contributions, large and small, to both animated and live-action motion pictures, as well as the fields of optics, film processes, and special effects. He was also the major force behind the design of special cameras, projectors, electronics, and audio for theme park projects-and much more. The high standard set by Walt and Ub continues to inspire artists and technicians within The Walt Disney Company as they explore new avenues of quality entertainment. This is a one-of-a-kind tribute to an extraordinary man and an outstanding career, a record of his many inventions and accomplishments-and a tribute of a grateful son to his remarkable father.